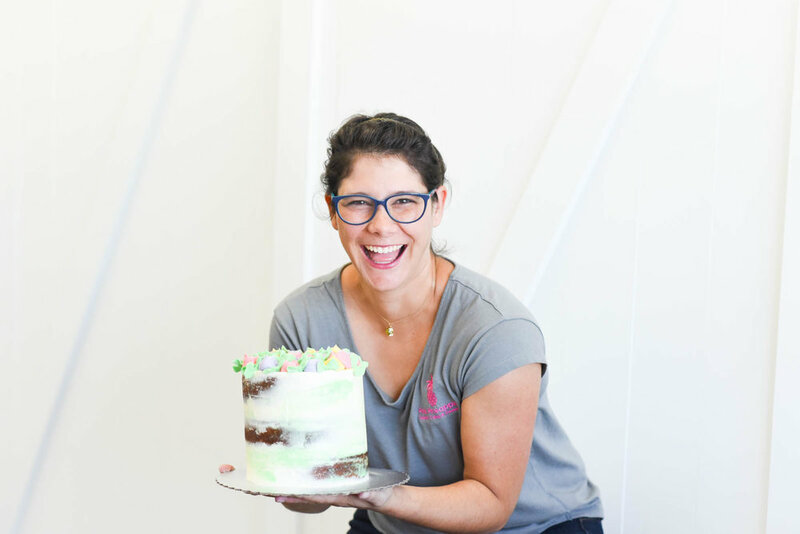 My name is Casey, and I'm casting the Food Networks Winner Cake All! 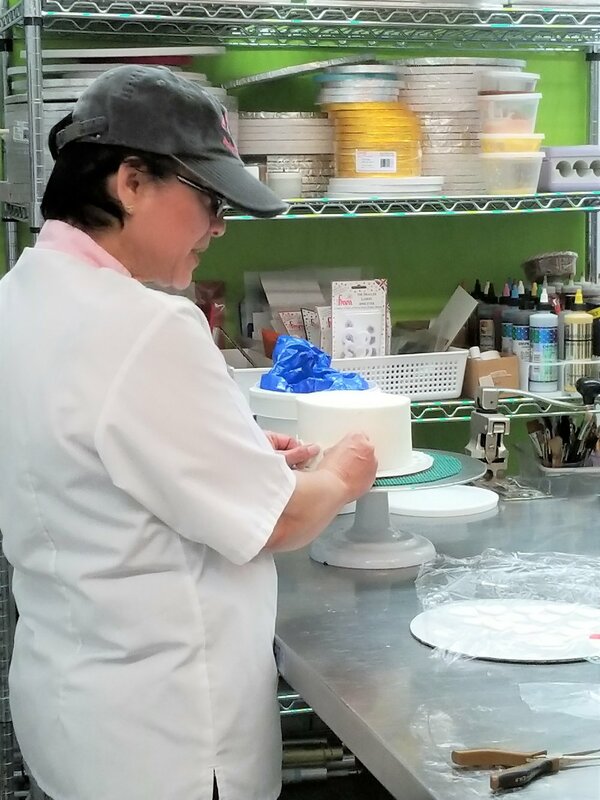 We're looking for versatile bakers and pastry chefs to apply. And that is how it all began. One simple e-mail that we replied to with please proof to us that you are real, the next e-mail was a confirmation of their legitimacy and a request for us to send in an application and audition video. Which you can find below. After that Thursday Skype interview we went seven. Yes SEVEN weeks without hearing anything. All we knew was that if we were chosen there was a window of time during which we would need to board a plane to California and shoot an episode. The call finally cake seven weeks later while Rebeca was playing put put golf with her babies. “Hello we are just calling to confirm final dates for the episode shoot.” That was it that is how we were told so simply. We where to board a plane on October 18th (Rebeca’s 30th birthday ) and take a trip of a lifetime full of adventure and fun stories which we will be sharing on other blogs. As we look back on the opportunity now we realize how special our team is and how amazing it is that we were cast. While in California we were told that thousands of people applied for the show. To sit on a hill in Palos Verde California eating lunch with 3 other teams and realize that out of the thousands your team was chosen for an episode is a feeling we will never forget. The closest thing we have to it is the Olympics,out of thousands of people in your sport you where one of the few chosen to represent at the games and whether you placed on the winners blocks or didn’t you made it all the way to the BIG GAMES. Now that is something to be proud of and to keep tucked away in your memory. Wow have we been keeping the biggest secret! 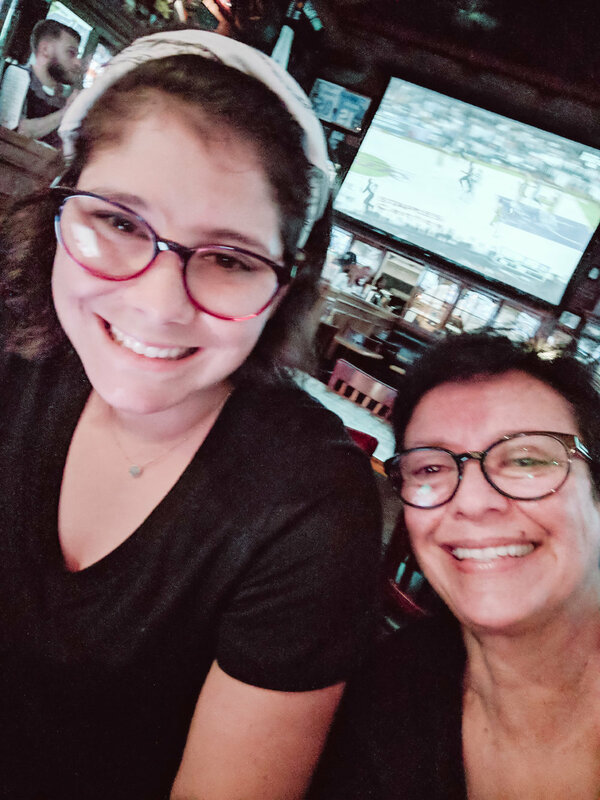 In October, we (Rebeca and Aura) loaded a plane in Charleston and took off for California. 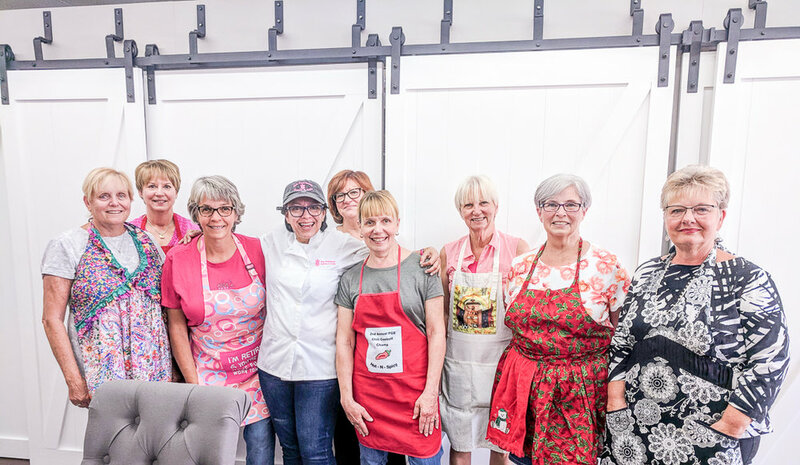 This adventure began a few weeks before when the Food Network reached out to us as potential participants on their new show, Winner Cake All. 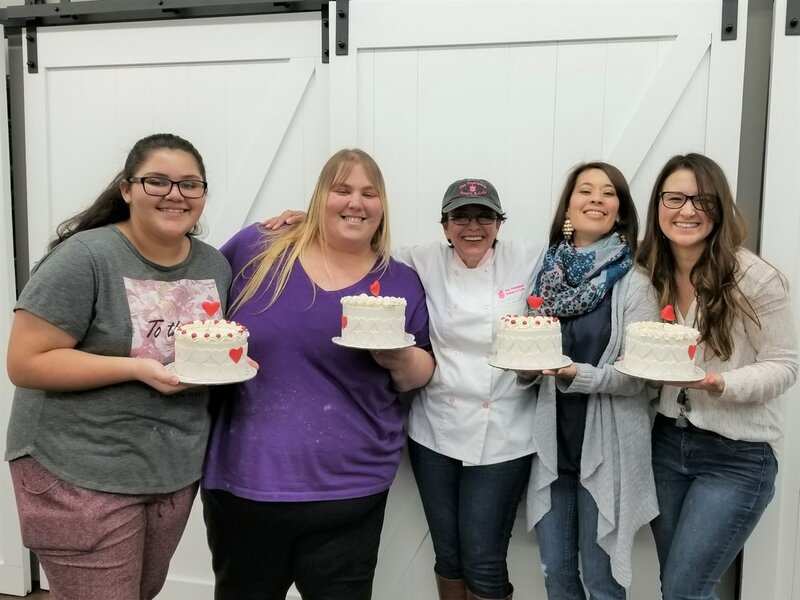 The following weeks were a whirlwind as we submitted a cake for the selection process, Rebeca trained in the kitchen with a Bakery Bootcamp, and together, we prepared the shop for us to be out of the office. Our California adventure began with Rebeca losing her license. We then proceeded to board a plane (Rebeca, license-less) and take off to LAX. We’re excited to spend the next few weeks sharing all of the details about this journey from our competition, our incredible co-participants, the beautiful views, and the many hilarious stories. Stay tuned here and on our Facebook page for more videos and blogs! 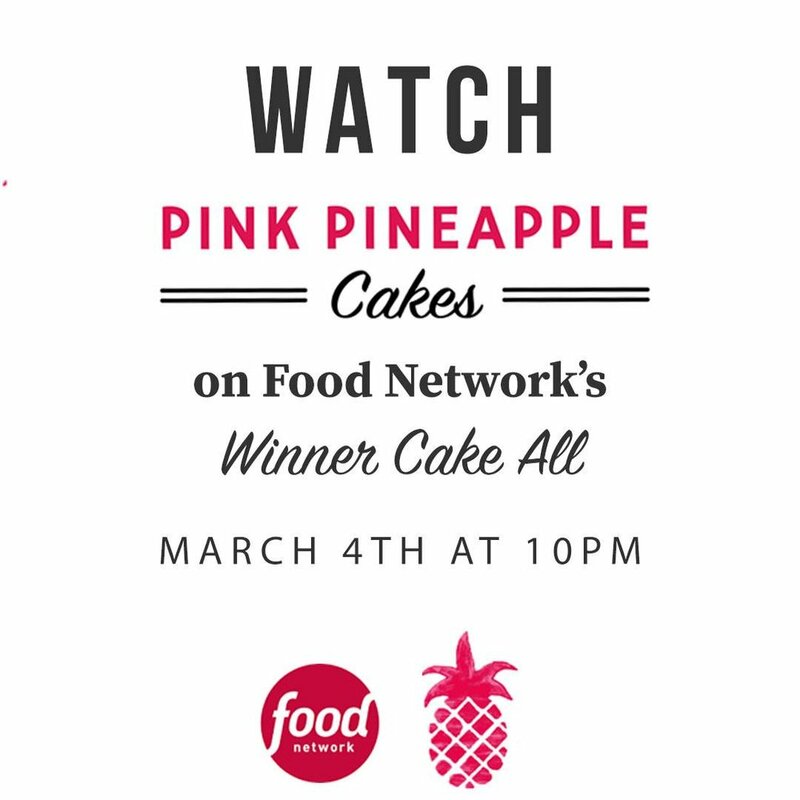 And, make sure to tune in to The Food Network, March 4th at 10PM as we compete on Winner Cake All! 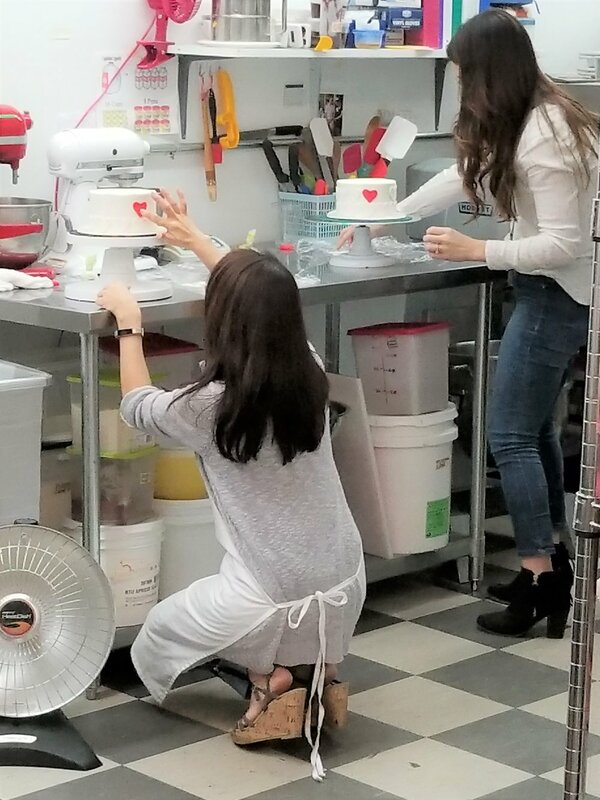 We’re excited to announce a new blog series about some of our incredible brides and their wedding cake journey. 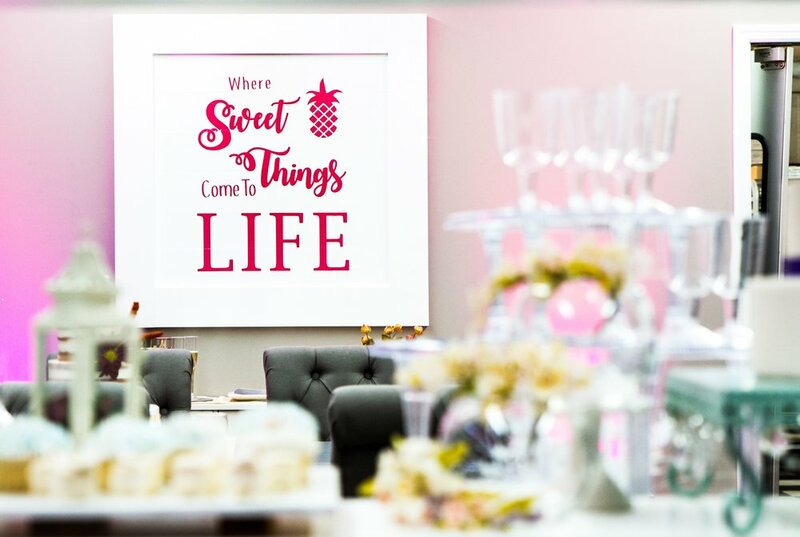 We asked the happy couple a few questions about their big day, and here’s what they said! Our ceremony took place at Pine Lakes Country Club. Did you use a photographer? If so, who? Scott Smallin photographed the day! Did you use a Musician/Band? DJ? If so, who? Oracle Blue was our band, and Rob from Encore L'Amore was our DJ and ran the photo booth! Where is your gown from? What style gown is it? 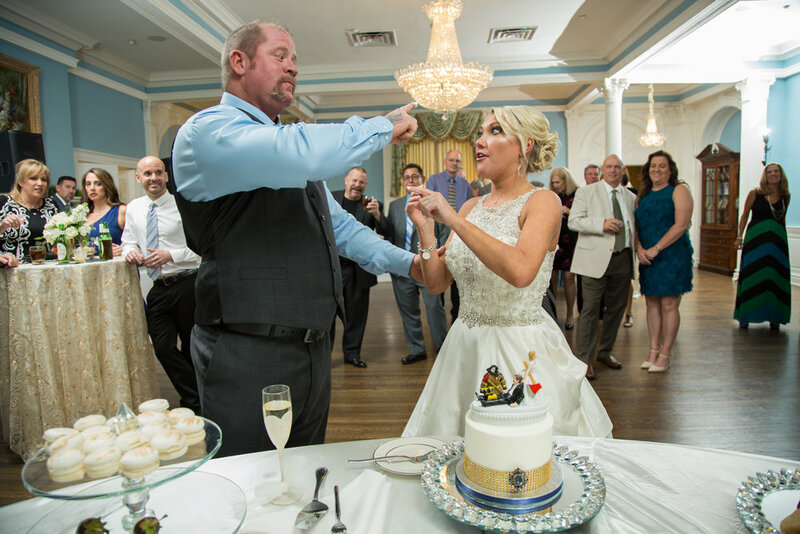 The dress is from The Bridal House of Charleston in Mt. Pleasant, and it’s an A-line gown with a beaded top and sheer beaded back. Did you use a florist? If so, who? We used Robbie Gerba at RSG Events. Did you use a Hair stylist/Makeup artist? If so, who? Did you use a caterer? If so, who? We met 8 years ago at a bar and became very good friends, and then 2 1/2 years ago decided to date. Now, here we are married! We were in Cozumel, Mexico at a gorgeous estate staying with my family and close friends and we were doing a family photo shoot which turned into a surprise engagement shoot (little did I know). The decor was incredible, everything was actually my favorite. Santana and her team did an amazing job. Did you use a Wedding #Hashtag? 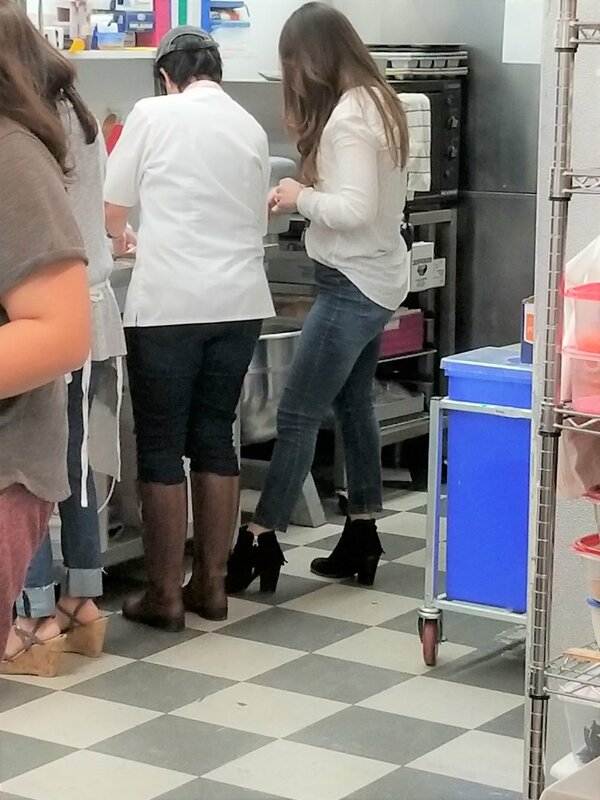 We were happy to help make the night even sweeter with a 6" round vanilla & cream cheese cake, cannolis, cake pops, mini cupcakes, cookies, macaroon, and chocolate covered strawberries. We were so thankful to be a part of this beautiful wedding. 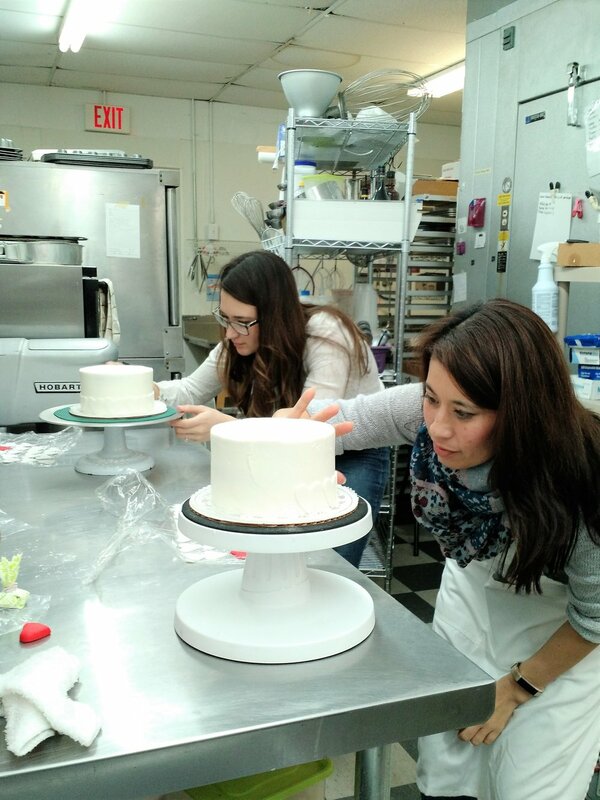 Stay tuned for more Wedding Cake Journey blogs! 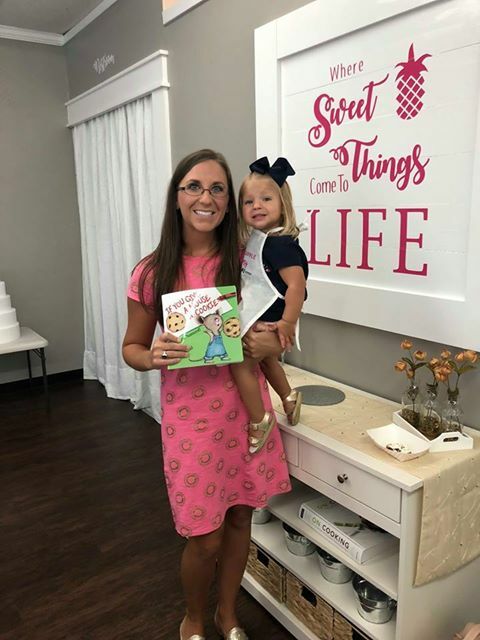 This month, we got to celebrate another Pink Pineapple birthday! Kate, our wonderful office manager, turned 22, and, of course, we celebrated with cake. We figured we’d take this moment to get to know our go-to office girl. My favorite part of my job are the women I get to work with everyday. Each one holds a special place in my heart and is constantly teaching me something new every day. I love to hangout with friends and go to the beach. What’s your major at Coastal? Business Marketing and I’m graduating in May, 2019 ! I first started as Finance then went to Management, and finally Marketing. I always knew business was for me but couldn’t find my place in it. Pink Pineapple helped me a lot with that when I started working more with campaigns & social media. What’s your advice to someone graduating college trying to get a job? Don’t worry about finding the perfect one right as you hit the ground. Look around, find where you belong, your perfect job will find you. 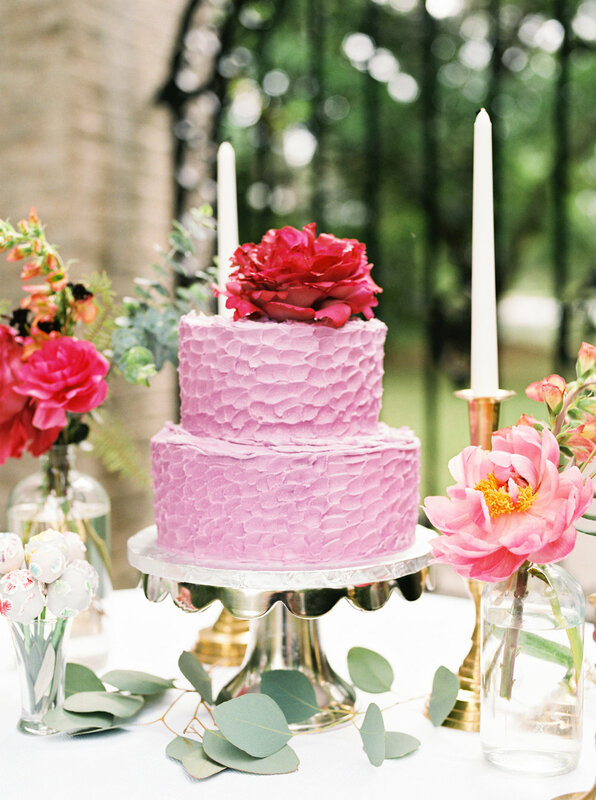 What’s your favorite signature cake? and is the voice you’ll probably hear when you call us. We love her bubbly personality and her impressive fashion sense. And, celebrating her, this month, was easy! If you see her around, or get the chance to have a conversation with her on the phone, be sure to tell her hello! 2018 was a super sweet year for us and the ending was no different. with a fun Girl’s Night Out! 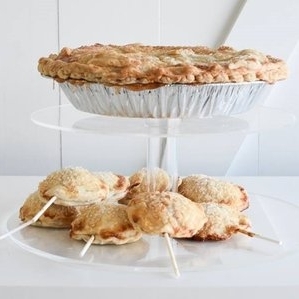 and, as always, sweet treats. 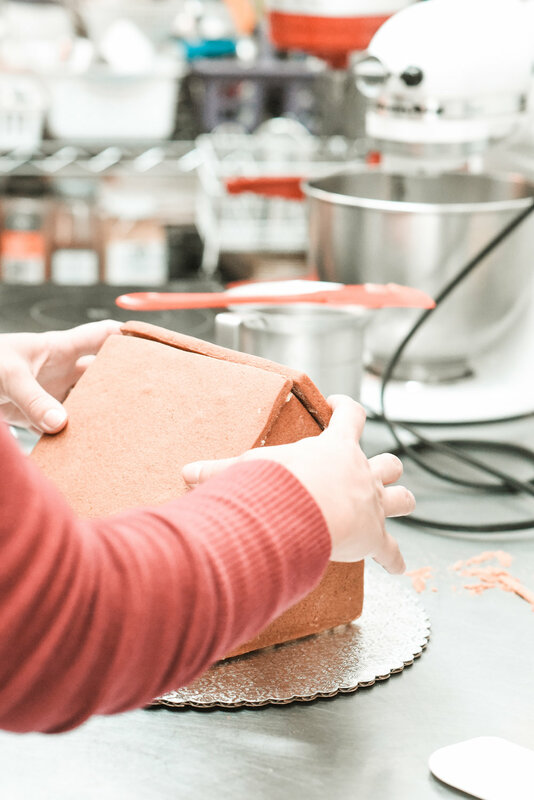 Our Gingerbread House kits made for quite the party and with a few tips and pointers from Chef Aura, we have to admit, we think we did pretty well. As we venture into a new year, we were reminded of all the sweet memories, incredible breakthroughs and growth we’ve experienced, and the team we’ve built. We couldn’t be more grateful for this past year, and more excited for what is to come.